Since my Wednesdays, are never truly “Wordless” this is a two-fer on vining plants and common names. 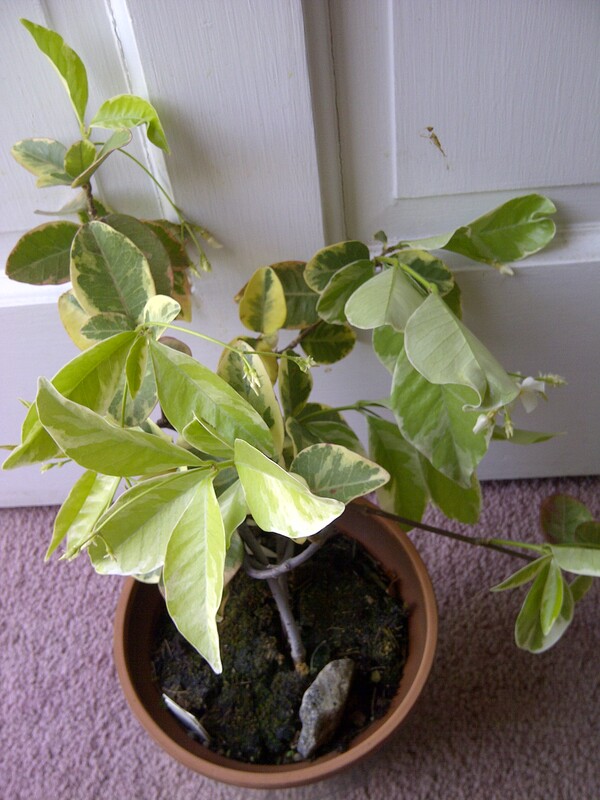 This is “true” jasmine, jasmine officinalis. It’s a little sunburned from a south window; I’ve since moved it to the East and given it a pruning. Some of you may remember this plant when it was in full bloom just before Christmas. 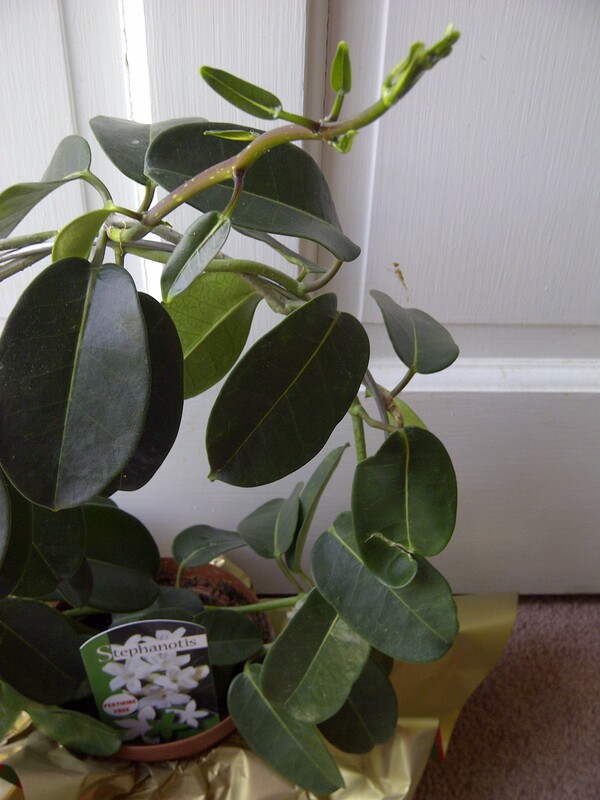 It’s a Stephanotis, otherwise known as Madagascar Jasmine. For yet anopther plant with “Jasmine” in its name, here is a variegated Confederate Jasmine. It’s the best behaved of the bunch. It’s also in bloom now. Its botanical is trachlospermum. That’s why just asking for “Jasmine” could get very confusing! 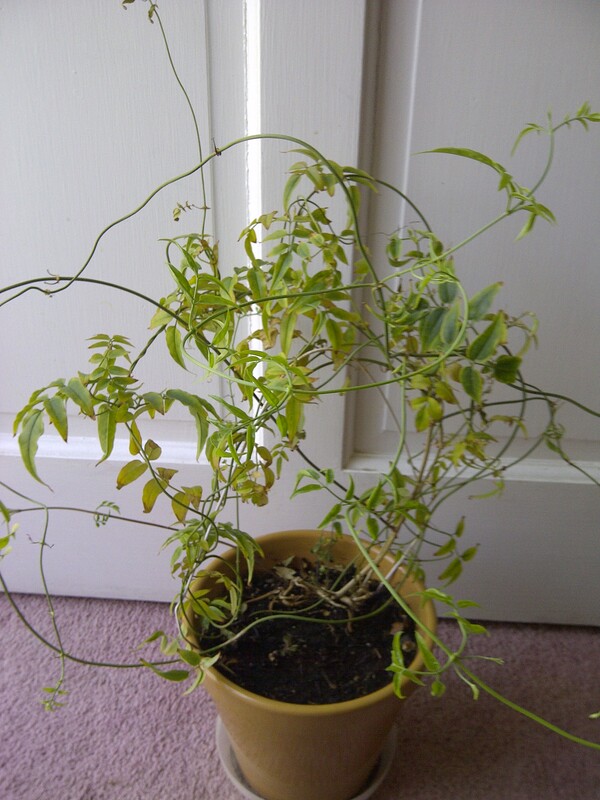 And speaking of “better behaved”–not!–this is a dipledenia. It’s supposed to be Mandevilla’s better behaved relative. If this is better behaved, forget it! I’ve already pruned it 3 times since December. 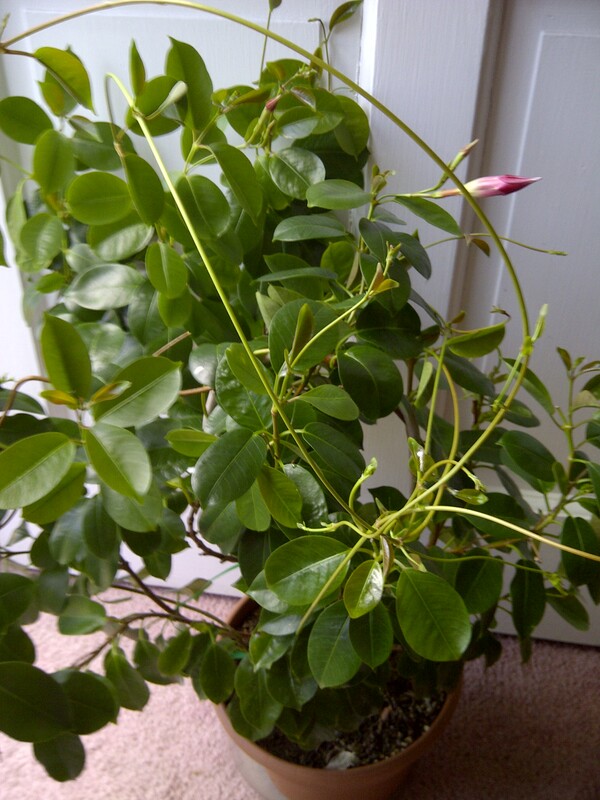 And now that it’s budding and starting to bloom again, I won’t have the heart to prune it. I’m going to need some better staking system, I can see that right now! Previous Article This Is No Joke!